This is a compulsively readable, edge-of-the seat suspense novel – contemporary, clever, layered, and with a unique and riveting premise. For teens who will go on to read GONE GIRL. Joy Morris always joked that she’d kill for her twin sister, Grace. But she never thought it might be true. Until the boy who destroyed Grace’s life, the person she hated most, turns up dead – and she can’t remember what she was doing the night before. Until a note appears on her windowsill: I saw you murder Adam Gordon. The blackmailer wants to use Joy to expose the sordid secrets of her school. She must race to discover his identity before he reveals what she might have done to everyone she loves, including clever and kind Levi, newly arrived in town to find out more about his half-brother Adam. 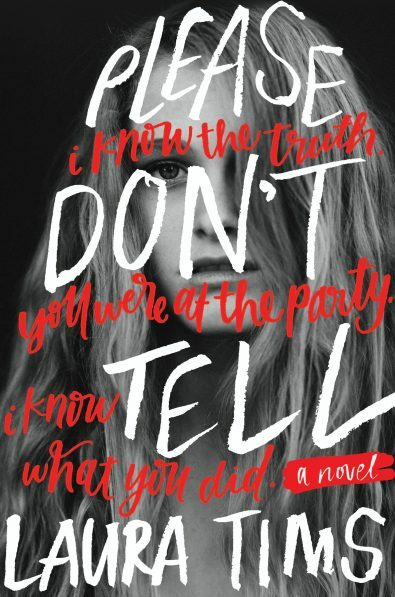 She hides everything from the twin who’s supposed to read her mind, the sister she exists to protect – but she never expects Grace to be keeping dark secrets from her as well. In an alternating timeline chronicling the events of the past summer, anxious perfectionist Grace is determined to transform into brooding Adam’s dream girl – until one event shatters the bond between her and Joy, and transforms her into something else.